Mark's Tickets is the best place to find tickets for Keith Urban fans. Just check this page for any new events or schedule updates throughout the year. We sell tickets to every Keith Urban concert around the world. We know how passionate Keith Urban fans can be about country music, so we make sure to have hundreds of tickets for every concert available right up until showtime. For those looking for cheap Keith Urban tickets, we offer tickets starting at very low prices (many times below face value). We offer tickets in most sections of every venue that Keith Urban performs. Simply choose the city or venue that you are interested in below, and you will be able to see all of the available seats. Do not forget that Marks Tickets also specializes in sold out Keith Urban tickets. 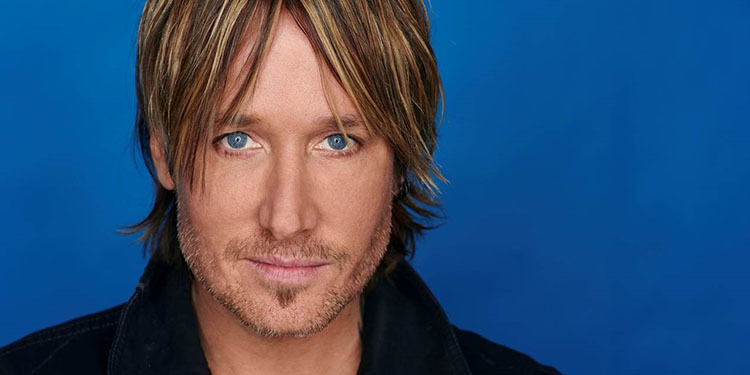 No longer will sold out shows prevent you from seeing Keith Urban. Keith Lionel Urban (born 26 October 1967) is a New Zealand-born and Australian-raised country music singer, songwriter, and guitarist. When he was 2 years old, his parents moved the family to Australia, where his career eventually began. In 1991, he released a self-titled debut album, and charted four singles in Australia before moving to the United States in 1992. Eventually, he found work as a session guitarist before starting a band known as The Ranch, which recorded one studio album on Capitol Records and charted two singles on the Billboard Hot Country Songs chart. Still signed to Capitol, he made his solo American debut in 1999 with the album Keith Urban. Certified platinum in the U.S., it produced his first Number One on Hot Country Songs with "But for the Grace of God". "Somebody Like You", the first single from his second Capitol album, Golden Road (2002), was named by Billboard as the biggest country hit of the 2000–2010 decade. The album's fourth single, "You'll Think of Me", earned him his first Grammy. 2004's Be Here, his third American album, produced three more number 1 singles, and became his highest-selling album, earning 4× Platinum certification. Love, Pain & the Whole Crazy Thing was released in 2006, containing "Once in a Lifetime", as well as his second Grammy song, "Stupid Boy". A greatest hits package entitled Greatest Hits: 18 Kids followed in late 2007. Defying Gravity and Get Closer were released on 31 March 2009 and 16 November 2010, respectively. Keith Urban has released a total of nine studio albums (one of which was released only in the United Kingdom), as well as one album with The Ranch. He has charted 29 singles on the U.S. country charts, of which 15 have reached Number One. He plays acoustic and electric guitar, as well as banjo, bass guitar, mandolin, piano, sitar, bouzouki, and drums. He is also known for his roles as a coach on the Australian version of the singing competition The Voice, and as a judge on American Idol. Since 2006, he has been married to actress Nicole Kidman.